Rebecca Gross, U.S. Chairperson, founded and led Student Driven Solutions as Executive Director from it’s foundation in 2015 until December 2017. Since returning to the United States, Rebecca continues to serve as a board member and advisor on proposal development, program implementation, and financial management. Rebecca founded SDS because she believes that every girl should have the opportunity to be financially independent and self-empowered. Rebecca is proud of the strong leadership of an entirely Malawian team with a majority of staff and board members being young Malawian women. Rebecca received a Bachelors Degree in Economics with a concentration in African Studies from Georgetown University. She currently serves as a Proposal Officer for West and Central Africa at Jhpiego where she supports new business development for Jhpiego country offices in the region. She is the direct supervisor to Chisomo Mgogo, Country Director. Jay Crosby, U.S. Board Member, is the Founder and Executive Director at Leadership Exchange, a cross-cultural exchange program that connects American High School students with organizations working in Haiti, Botswana, and Zimbabwe. He has more than 20 years of experience in education and a lifetime commitment to travel and service. Prior to developing Leadership Exchange, Jay was a teacher and coach at Riverdale Country School, Bronx, NY, and served as the Executive Director of Somarela Fund, a small family foundation whose mission is to advance humanitarian work in southern Africa. Sarah Baran, U.S. Board Member, currently serves as a consultant for World Vision on the DFID funded Building Resilient Communities in Somalia program. Prior to this role she served as Program Coordinator for Georgetown University Initiative on Innovation, Development, and Evaluation where she was based in Nairobi, Kenya. She has experience in project management, event management, operations, logistics, data analysis, government relations, and development policy. In her free time, she also teaches an introductory writing course in Kamiti, a maximum security prison in Nairobi. Sarah joined SDS because she is committed to the empowerment of individuals and believes in the capacity of young women. Sarah believes that one of the largest impediments to development within any emerging economy is poor leadership that feeds a culture of corruption. The only way to address this issue is to develop ethical leaders who are committed to truly serving the public. This public participation must begin at the local level and must begin with the youth. Moreover, it is an opportunity and responsibility that should be shared among everyone, including women. Sarah received a Bachelors Degree in Political Science and Government from Georgetown University. 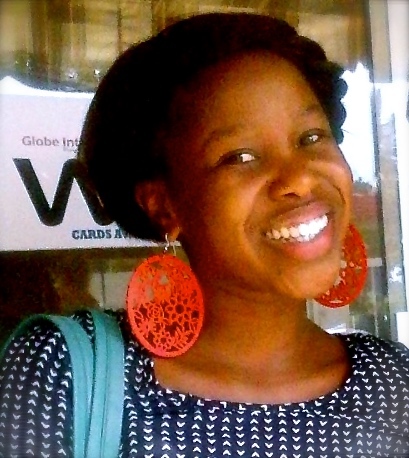 Gift Nhlane, Financial Management Technical Advisor and Signatory, serves as a Business Development Manager at YambaMalawi, a US based International NGO whose particular interest is in providing opportunities to the Orphans & Vulnerable Children. He is the overall manager for a business enterprise value chain program supporting community based organizations to generate income through a sustainable Community Enterprise Program. He is a University of Malawi, Chancellor College trained Economist with over nine years of experience working and managing International and grassroots Non-Governmental Organizations, Cooperate Industry of the banking sector and management consulting. Currently, he is studying for his Masters in Strategic Management with the University of Derby with an interest in people management and marketing strategies. He has been a trustee of Student Driven Solutions since its foundation. He joined SDS because he believes that knowledge is power, which gives freedom. He served as the direct supervisor to Rebecca Gross, Executive Director while she was a full-time employee. Elita Chamdimba, Youth Technical Advisor, is a University Lecturer at DMI St. John teh Baptist University. Her passion for girls’ education is evident in the project that she initiated in her final year of college in 2014 called Little Big Prints, which continues today. Little Big Prints works with girls in community-day secondary schools by linking them with female college mentors who encourage the girls to aspire for tertiary education. Elita is a member of the National Girls Education Network in Malawi. Elita as previously worked as a Programs Assistant at NASFAM, a leading development organization that works with smallholder farmers. Elita received a Master of Social Science in Social Work from the University of Nordland and a Bachelor of Social Sciences in Sociology from Chancellor College. Clement Udedi, M&E and Resource Mobilization Technical Advisor, Financial Signatory, is the Director of Programs at MACRO where he is responsible for management of community case management projects in 4 districts. He has a lot of interest in assisting vulnerable people in the community. He holds Bachelor of Science in Nursing from the University of Malawi, Diploma in Computer Studies from National College of Information Technology, and a Master’s Degree in Business Administration. He has more than 7 years’ experience in project management, resource mobilization, monitoring and evaluation. His desire to see his daughter succeed in life made him to join Student Driven Solutions to contribute towards assisting other girls achieve their life goals. Clement, believes that education and socio-economic empowerment will contribute greatly to alleviating some of the challenges that girls in Malawi face and efforts by organisations like Student Driven Solutions need to be supported by Malawian. Tchizah Nhlane, Financial Management Technical Advisor, is a an accountant at the Ministry of Health. He controls and monitors Ministry of Health finances, approvals of expenditure, preparation of annual appropriation reports, preparation of monthly management financial reports, reconciliation of projects’ holding and operating bank accounts. He is a Chartered Accountant certified by the Association of Chartered Certified Accountants (ACCA). He obtained his certificate from Malawi College of Accountancy. He has over eight years of Finance, Audit, and Lecturing experience in the private sector and for nongovernmental organisations. He is the direct supervisor to Dumiso Banda, SDS Financial Officer. Rebecca Nzawa, Youth Technical Advisor, served as a full-time Program Officer with SDS during it’s pilot year until 2016. She joined the SDS team because she wants to inspire young girls since she feels its the least she can do to help her country. She knows from experience that inspiration can take someone far in life. Isaac Mafuel, Community Mobilization and Media Technical Advisor, is a Legislative and Interactive Theatre Officer at Theatre for a Change. He has been working with Theatre for a Change since 2010. Isaac founded Theatriks, a theatre company and Barefoot Readers, an initiative aimed at providing books to needy schools around Lilongwe. Isaac joined SDS because of the financial literacy angle of the organization. He believes that financial literacy empowers Malawian women to stand on their own. It was the personal life-changing stories of SDS alumni that moved him to join the board. He studied Journalism at the University of Malawi Polytechnic Continuing Education Center. Prior to studying Journalism he worked as a teacher with the Ministry of Education. Lucky Gondwe, Youth Technical Advisor, works as a Project Officer for Village Reach where she is coordinating a youth led contraceptive Knowledge and generation research project and supporting an Adolescent Health project that’s aims to keep girls and young women in school by improving their sexual and reproductive health. Lucky has a Bachelor of Arts degree from the University of Malawi where she majored in Philosophy and minored in Psychology and Classics. She is a co-founder of several social initiatives with a focus on Cancer, early childhood development and youth empowerment. She has four years of experience working in public health programs with particular focus on Sexual and Reproductive Health. Lucky was a 2015-2016 Global Health Corps fellow. Lucky joined SDS because she believes that everyone regardless of their gender has a right to be given all the tools and environment necessary for them to live a full healthy and self-determined life. In most cases this is not true for most of the young women in Malawi. She believes that empowering girls with financial literacy and entrepreneurial skills is a crucial aspect of ensuring their overall wellbeing not just form a finance perspective but from a social perspective. Compstone Soko, Business Training Technical Advisor, Project Officer at Small and Medium Enterprises Development Institute Malawi. He assists Student Driven Solutions in the development of the entrepreneurship curriculum.